A Boutique Hotel Tel Aviv with Pool or close to the Beach? Are you looking for sun, beaches and excursions, together in a place where culture reigns supreme? Tel Aviv, nicknamed the White City, is what you need. Combine the pleasures of the beach and sun with an exploration of this energetic, vibrant city. Take a stroll in the heart of the city and discover all its treasures: architecture, flower markets, museums, galleries, restaurants, and more. 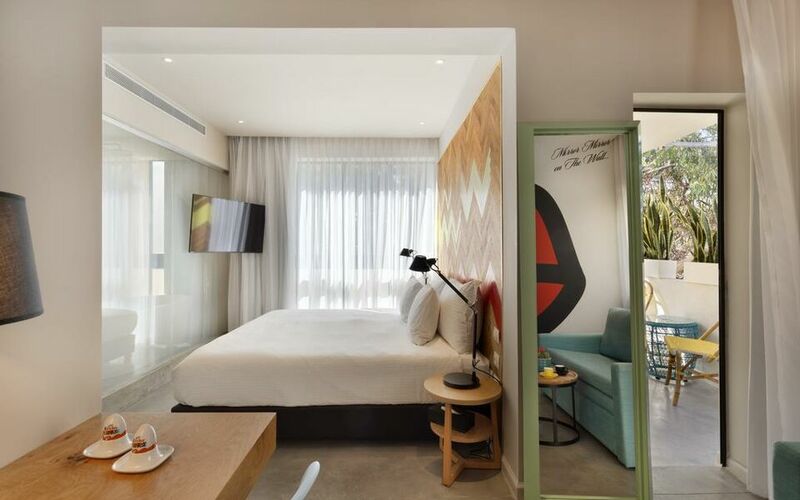 Offering beautifully decorated, comfortable rooms, the Cucu Hotel Tel Aviv is a modern establishment situated in the heart of Boutique Hotel Tel Aviv Dizengoff. 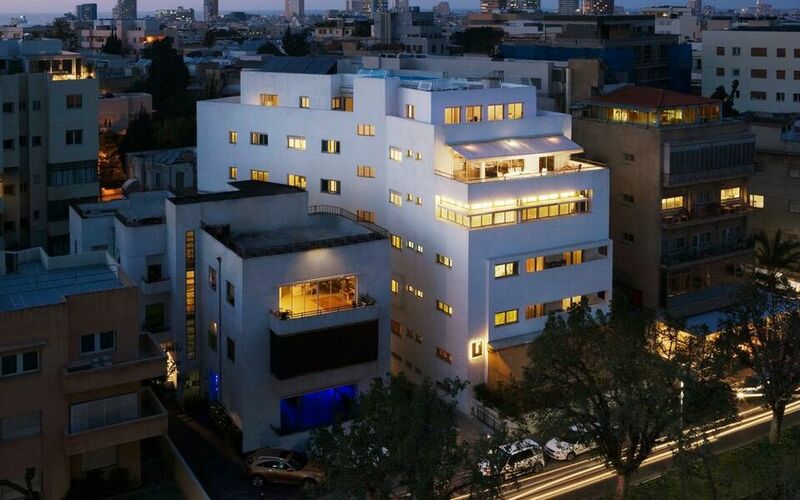 Each room in this small Tel Aviv luxury hotel has its own private terrace. Enjoy an Israeli breakfast in the hotel’s trendy restaurant. A plus is the spa and wellness center, which will help restore your energy after a day of walking around the White City. Classic double room, deluxe double room, suite with balcony or garden view — the choice is yours! 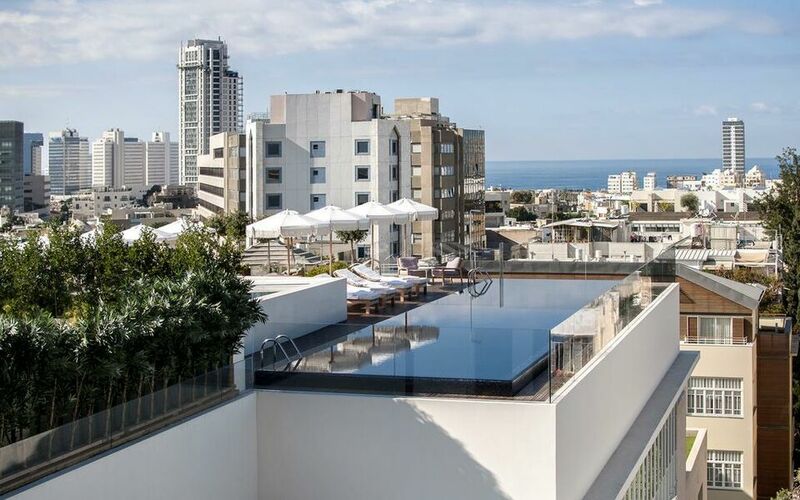 In any case, you will be impressed by the elegance of the Norman, a luxury boutique hotel Tel Aviv with pool, situated in the heart of the city. Its rooms and suites are spacious, colorful and tastefully decorated. You will definitely be enticed by the hotel’s rooftop pool with a view of the city. The hotel also offers bicycles for rent. 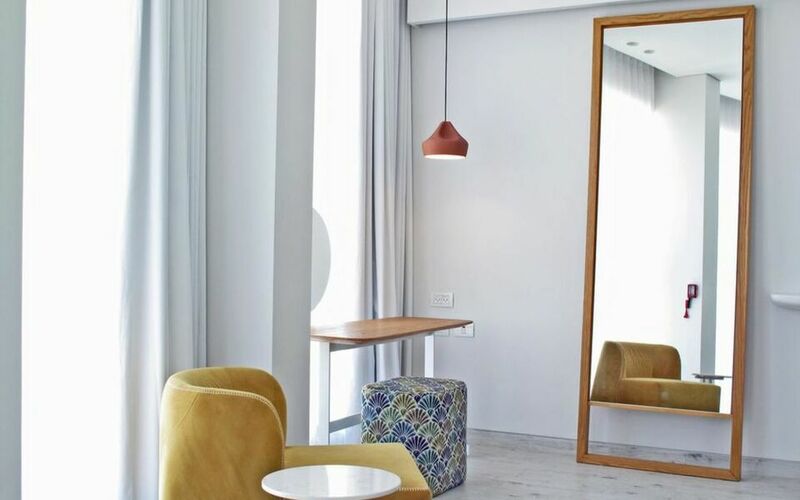 Located on Rothschild Boulevard and close the Neve Tsedek area the 65 Hotel is a Tel Aviv boutique hotel filled with luminous rooms and suites, all spacious and commanding a view of the city. The decor is sleek, modern and luxurious. Enjoy a breakfast buffet overflowing with choices and flavors. Immerse yourself in the young, relaxed and trendy ambiance of the hotel’s Happy Hour, which begins at 5 pm daily. 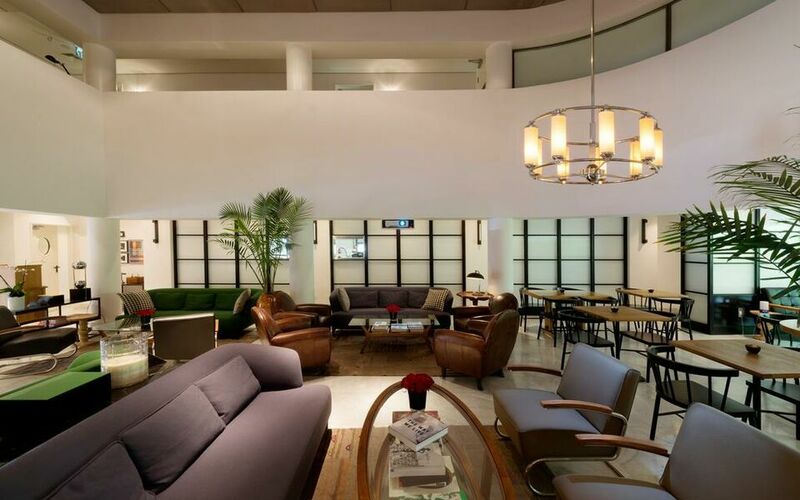 One of the Best design hotels in Tel Aviv, the Lily & Bloom Boutique Hotel Tel Aviv is a boutique establishment only steps from Rothschild Boulevard and its young and relaxed bars and cafés. The hotel features rooms which are modern yet cozy, and a lounge with a warm, relaxing ambiance. The hotel’s restaurant serves a completely homemade breakfast buffet with an emphasis on local specialties. You’ll be sure to return!